This strain is the result of crossing a resin-filled specimen of our own Sensi Star with a very famous clone called Critical Mass. It’s a cross between two spectacularly resinous strains but with very different nuances. 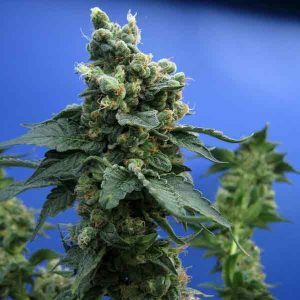 Like most Indicas, Critical Sensi Star is a compact plant although care is needed in SOG systems so that the plants don’t get too tall as small or medium-sized column-shaped plants are best. Very abundant flowering with very swollen resin-filled calyxes. 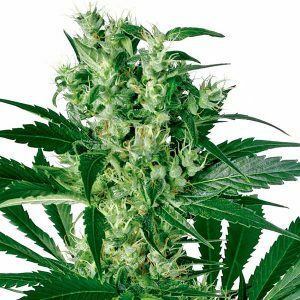 Produces few leaves, which combined with the fact that this is one of the most rapid strains on the market, makes cultivation very simple and for bumper yields. Very fruity smell with acidic notes; like strawberry or wine gums. The smell becomes much more intense and penetrating as the leaves are broken apart. The sweet, fruity taste has very strong Skunky notes. The effect is very strong and quick and mostly cerebral. Although it produces a light physical sedation, it’s not enough to leave the consumer postrate on the sofa. Good for undertaking activities that don’t require extreme concentration.